I know this is coming a bit late but finally a one year review of the Urban Arrow (2013 model, rollar brakes, 250 Daum motor). 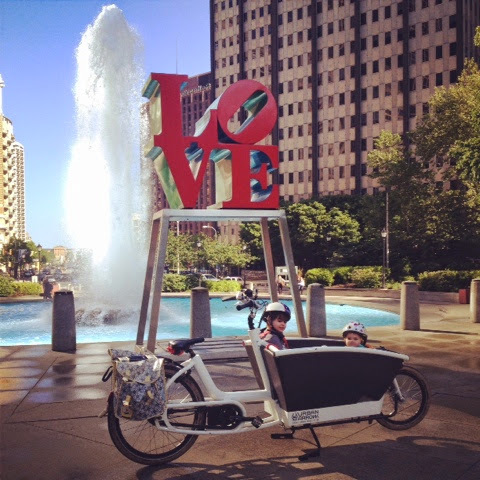 First I have never found a bike so perfect for our family as the Urban Arrow it has moved our family over the past year with an infant, during heat, in a polar vortex and more. I am so grateful that we were able to own this bike and glad to see them spreading across the states and the world. It is a gold standard bike. use and it caused a bit of rusting, we just lightly sanded off ride and hit with flat back spray paint. Hub generated so no battery replacement. They are nice and bright too. The NuVinci N360 is seamless I love it. I never worry about clicking in and out of specific gear I just let it flow to feels comfortable. I love how it visual with the bike person on flat or hills. 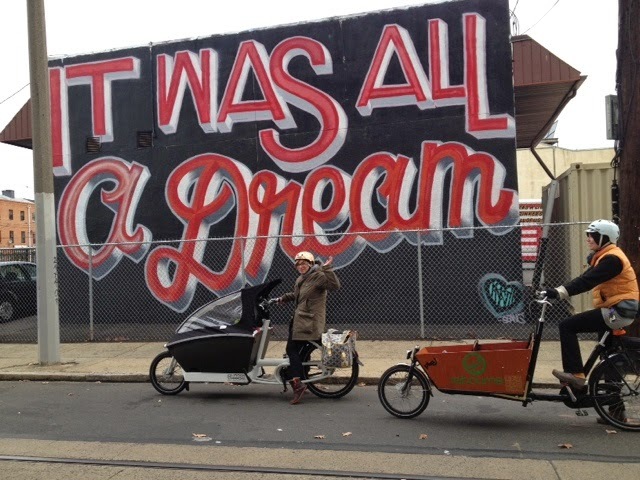 All cargo bikes need it and really is step up over the ebakfiets. child passengers up and down hills. Although if you do splurge on the 2014 higher motor power go for the hydraulic brakes too. It's a nice upgrade together. Bombproof. The schawalbe big apples are not joke. Not a single complaint. I rode all weather in them with the exception of ice. I think in ice I'd like a studded front tire. It is just enough to get me slowly up big hills and plenty of speed on flats and stretches. It lasts about 50-60 miles per charge on medium/high setting. In winter the cold makes it 30-40 miles per charge. Charging takes a bit but no complaints. I did have an issue with the reader I still don't know why it happened by UA/RO replaced it for me. The assist is now a Bosch and you can upgrade it to a higher motor. I would if you have some bigger hills you are constantly riding or use to a BionX type system. But really the 250 is really just enough. I still haven't upgraded and it has taken me the whole year of riding postpartum so I think that speaks well. Wide and grippy. Wouldn't even bother upgrading them. ORDER IT. It is a great add on. Did I mention I took it through a mud pit recently? They work excellently. All winter long I had no complaints. They did need slight adjusting when within the first month to stop scrapping front tire. Worked great all winter. The only flaw is it is hard for the kids to see through the grey netting, but then again it is so nice to open the flap for air on certain days I don't want to say it was a total flaw. The flat cover looks great we use it right now to keep rain out. THIS IS MEANEST BELL IN ALL OF TOWN. I LOVE IT. I highly recommend ownership of this bike, I truly think it is a game changer. Aesthetically there is no two wheeler on the market as modernly beautiful it is winner. The 2014 Urban Arrow's retail for $5300, even at 1k more I'd pay it in a heart beat for this lovely bike.